The philosopher and theologian Bernard Lonergan proposed applying critical realism to theology and the philosophy of religion and his thinking has influenced a generation of others, including Durham Professor James Dunn and Tom Wright, former bishop of Durham and now Professor of New Testament at St Andrews University (left), and as biblical scholars. An interesting exercise in applying critical realism to theology is the historical novel "The Shadow of the Galilean" by Gerd Theissen, which tries to explore the role of the observer in creating and interpreting religious stories. Tom Wright wrote: "I propose a form of critical realism. This is a way of describing the process of "knowing" that acknowledges the reality of the thing known, as something other than the knower (hence "realism"), while fully acknowledging that the only access we have to this reality lies along the spiralling path of appropriate dialogue or conversation between the knower and the thing known (hence "critical"). Critical realism was first applied to the discourse between science and religion in 1966 by Ian Barbour, and since has been adopted by Arthur Peacocke and John Polkinghorne and more recently by Alister McGrath, now of King's College London and the most vocal opponent of Richard Dawkins. It has become a particularly dominant epistemology (theory of knowledge) for those writing about Science and religion, perhaps because of advances in Scientific knowledge. Quantum science suggested that traditional logic may not represent the way things really are. Quarks can be in two places at once, can exist and not exist simultaneously and are changed by being viewed. This indicates that reality is not as simple as it may once have seemed. Using a critical realist epistemology to underpin her theory of language Sallie McFague developed what she called metaphorical theology, drawing on the work of Barbour and Ricoeur. Using this approach she has developed new metaphors for God as Mother, Lover, and Friend, and the world as the body of God which challenge traditional theology's patriarchal assumptions. In 1985 Janet Martin Soskice published a thorough study of metaphor in religious and scientific language, arguing that the latter can be meaningful because the former is widespread and accepted to be meaningful in that context. Her work arose as a result of Critical Realist enquiries into science and religion. She asks "What, therefore is truth? A mobile army or metaphors, metonymies, anthropomorphisms: in short a sum of human relations which became poetically and rhetorically intensified, metamorphosed, adorned, and after long-usage seems to a nation fixed, canonic and binding: truths are illusions or which one has forgotten they are illusions; worn out metaphors which have become powerless to affect the senses; coins which have their obverse effaced and now are no longer of account as coins but merely as metal." Soskice draws a parallel between Science and theology, arguing that both are based on realism. In Science realism is social and contextual; theoretical terms are seen as representing reality without claiming to be absolutely true." Similarly, in theology there is a distinction between referring to God and attempting to define God. In both Science and theology language is being used to represent reality in the knowledge that it may be inadequate, confusing and could be improved upon. Critical realism encouraged writers in science and theology to reflect on the process of their own thinking and writing and see that they could not be neutral observers, to accept that although both science and theology are about the pursuit of truth, that this can be elusive. In this they were inspired by the theories of Thomas Kuhn, first put forward in The Structure of Scientific Revolutions (1962). Georg Hegel (1770-1831) suggested that history could be understood in terms of people following one theory (thesis), others reacting and rebelling against it with another contradictory theory (antithesis) and, over time a new "middle way" (synthesis) emerging. The synthesis in turn becomes the theory against which a new generation rebels and so on. Kuhn applied Hegel's theory and the concept of zeitgeist (spirit of the times) which was developed by Herder and other followers of Hegel to explain the development of science. For Kuhn science is conducted within a paradigm, a model of the world which makes it almost impossible for scientists to accept results and theories which challenge its tenets. However, from time to time, a scientific revolution occurs when the accepted paradigm is replaced by a new paradigm, and progress then ensues. Dr John Snow was a lone voice in suggesting that cholera was borne in dirty water. The detailed evidence he collected, documenting the relationship between certain wells and infection outbreaks was ignored because all leading scientists were convinced that most illnesses were spread by "miasma", dirty smelly air. It took a crisis and a complete change in thinking for Snow to be hailed as a genius and hero – sometime after his death. In science more than any other area, consensus holds power. This is because science purports to uncover "truth" and often claims to possess truth – and there can only be one truth. Whereas an economist might accept several different theories, holding each to shed light on the truth and none to be the absolute truth, in science there is more pressure to accept one theory in its totality and to reject all opposition. Ironic this, it may be said for a discipline that has been said to operate according to the falsification principle. 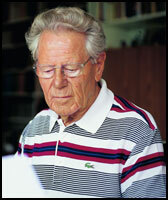 In 1988, Hans Küng applied paradigm analysis to the history of theology and compared the results to the history of science. In contrast to the way paradigms are successively replaced in science, giving it an irreversible history, in theology contrasting paradigms, such as Thomism, Reformation theology, modernity, may well coexist. Küng's analysis of how theology develops suggested that none of the various theological paradigms may claim to possess the truth, that members of one or other school of thought should become aware of their position, reflecting on the process of theological development and becoming more critical about truth-claims that are made. This suggestion was not welcome in some quarters.